Spencer Park currently plays 3rd horn in the Houston Grand Opera and 4th horn in the Houston Ballet. An active freelancer in the southeastern part of Texas, he has held the position of acting 3rd/utility horn in the San Antonio Symphony and can also be seen playing extensively with the Houston and Dallas Symphony's. A recent graduate of Rice University, Spencer received a Master of Music degree under the tutelage of William VerMeulen. He received his Bachelor of Music degree from Brigham Young University where he studied with Laurence Lowe. 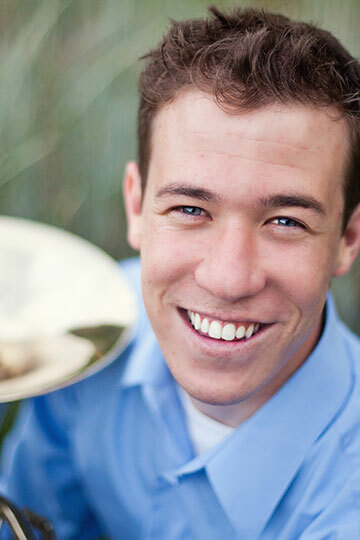 In 2013, Spencer was the national first place winner of the MTNA Young Artist Competition (brass division) in Anaheim, California. He is equally at home on multiple instruments and has won several competitions in his earlier years on the piano. He has traveled with various music ensembles extensively throughout the United States, Europe, Asia, Australia, and Africa. Spencer currently lives in Houston and enjoys spending quality time with his wife, Mayu.